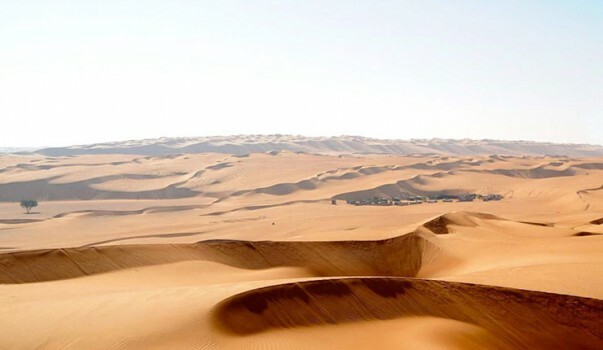 One of the most popular day trips from Muscat is involves a drive along the coast of Al Batinah in Oman. We start out from Muscat early in the morning and drive towards the west where we make make our first stop of the day at the Seeb Fish Souq(market) by the coast. The fishing village of Seeb has been gradually engulfed by the capital but it still offers a glimpse into what life was like in old Gulf fishing villages. 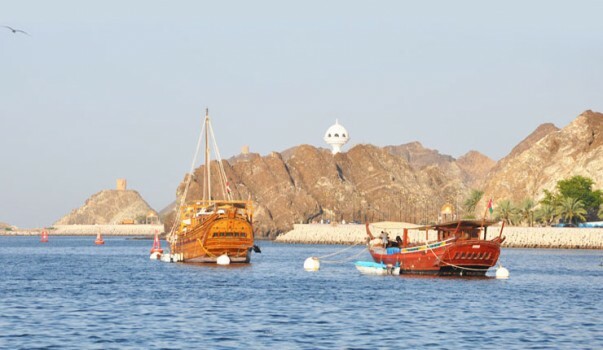 A visit to this quaint seaside fish market is a great way of understanding the history of Oman’s coastal villages. Seeb is renowned for Mashakik, a chargrilled delicacy of meat, fish, and squid dipped in spicy tamarind sauce that you can try here. 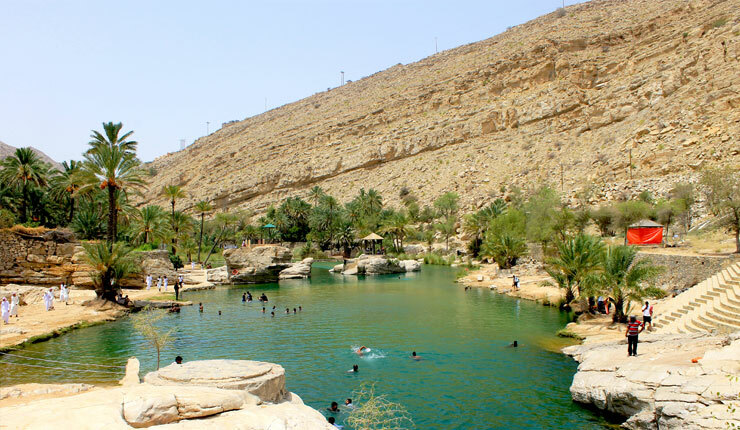 We then proceed towards Nakhl passing through roads surrounded by green expanses of date palms and making a quick stop at the Ain Al Thowarah Hot Springs. 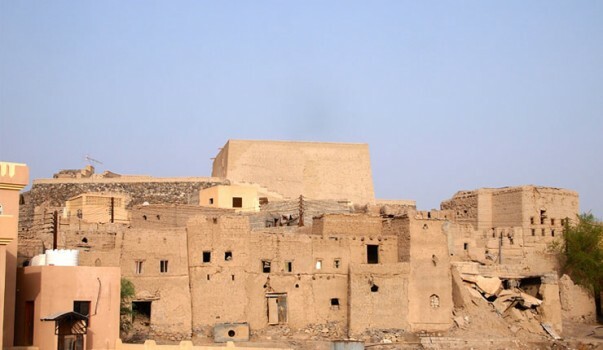 We then take a tour of the Nakhl Fort, whose construction can be dates back to more than 1500 years ago. 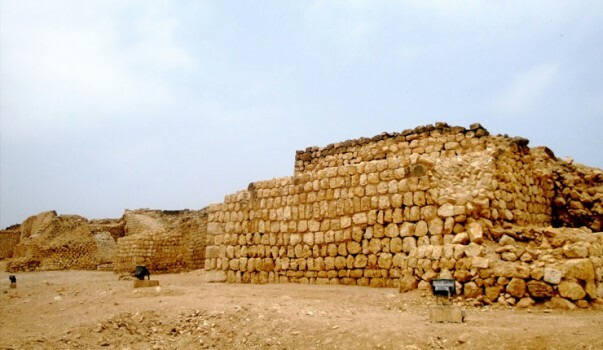 Situated on a palm oasis, the fort is built along the stone on which it is situated and not at a just one level and also houses a mosque and museum, apart from residential quarters. 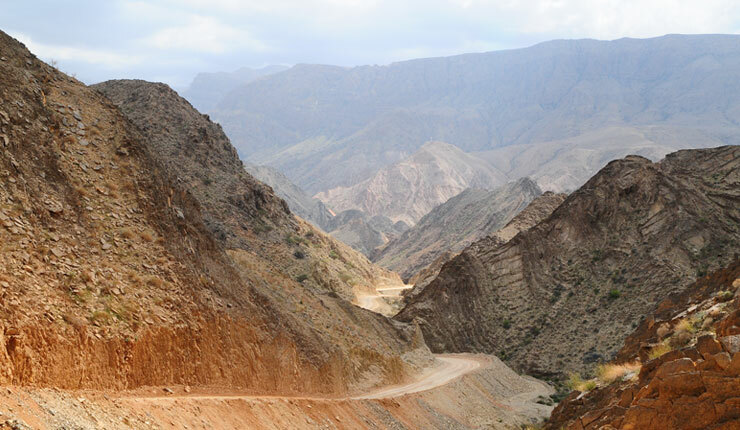 From here we head to the beautiful Wakan Village, famous for its terrace farming. 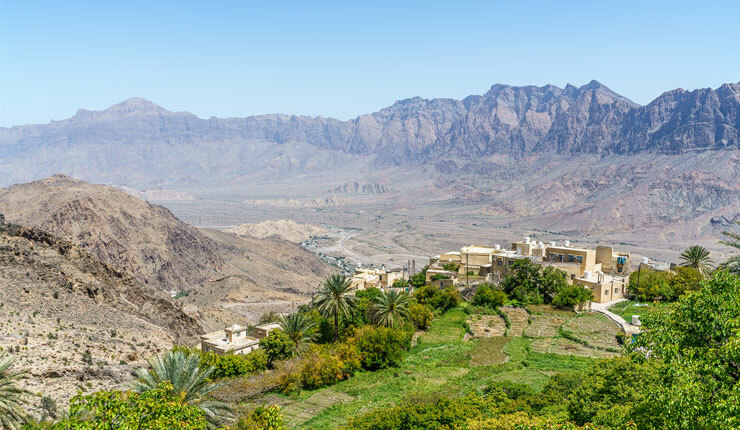 This mountain village sits on the Western Hajar mountains at an altitude of 2,000 meters overlooking the surrounding mountains above and Wadi Mistal below. As it can only be reached by driving uphill on a narrow dirt track set on a steep slope, we have experienced drivers with a 4WD who can take on this track easily. One can take in the amazing views from the viewing platform in the village and explore the beautiful green terrace farms here. Our next stop is Wadi Abhyad whose name translates roughly as the white valley. It was named thus after the large patches of white sedimentation that has settled in the small pools of freshwater that are present all across the Wadi. 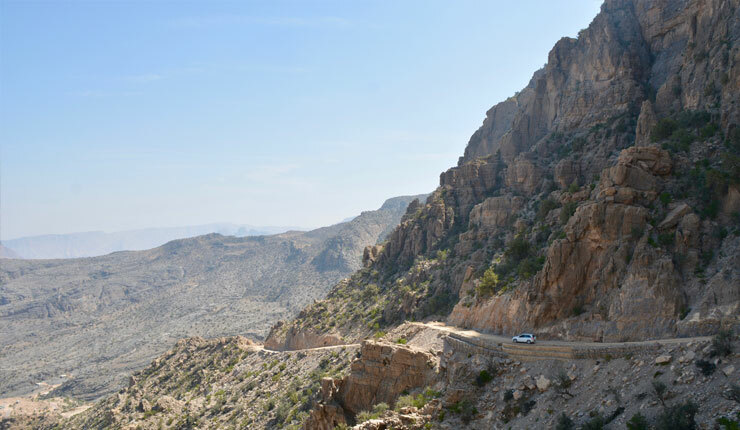 We take a drive through the Wadi before returning. It is best to start early in the day. Services of experienced multilingual guides.